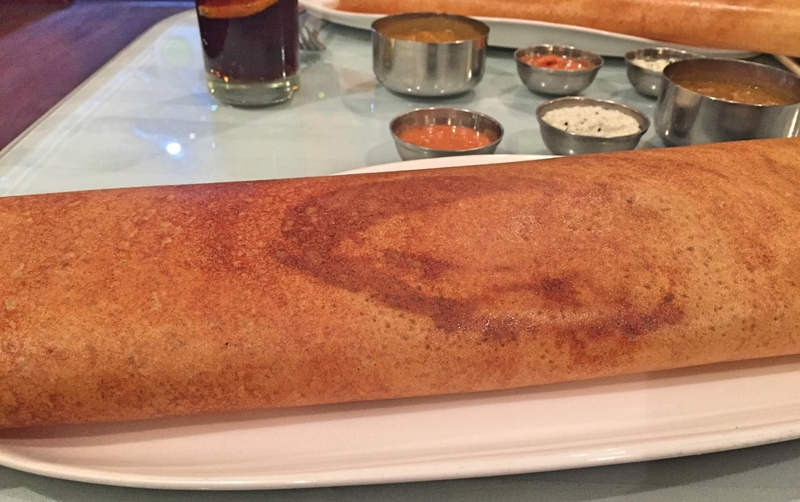 I’m a dosa fiend, out and proud. I absolutely love them, any restaurant serving them automatically gets prioritised in the ‘to visit’ list. I used to get my fix from The Curry Leaf on Eastgate however was devastated to find just before Christmas last year it had closed down! However someone new has taken over the premises, and dosa’s are back on the table. Enter Kerala Restaurant. It’s pretty similar to how The Curry Leaf was, nothing too fancy. Probably not the kind of place you’d celebrate your silver wedding anniversary however good on a Thursday evening when you can’t be bothered to cook. We went around 7ish and it was fairly quiet, a few people coming in and out throughout the meal. I’d booked a table but you could definitely wander in and grab a table on the fly. I ordered a Mango Lassi (£2.49) whilst we were deciding what to order, it was absolutely delicious. Probably too filling for a drink though, have one for pudding instead! 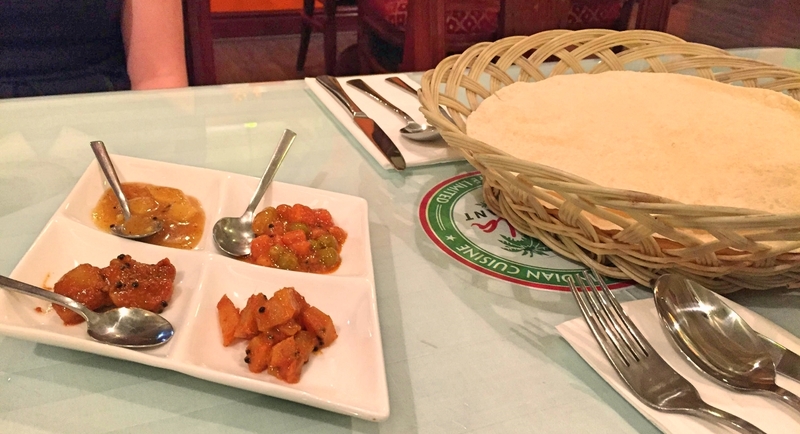 To start with we shared the Veg Pickle Tray with Pappadoms (£2.99). All the pickles were tasty, especially the carrot & pea one. Nothing tasted ‘out of a jar’, all felt freshly, homemade. Now to get down to business, the reason I was there, the dosa. I went for the Masala Dosa (£4.99) which is a huggggggge pancake filled with masala potato and served with coconut chutney, red chutney and a spicy lentil curry. It was a delicious, as good as any I’ve had before. The pancake was light, the masala potato had lots of flavour and the curry added a kick of chilli. P had the Lamb Thali (£12.99) which was reallllllllly good (very near food envy). From memory it featured 3 or 4 different curries, a dahl, a soup, a few different pickles, rice and a dosa – epic. After demolishing my lassi I decided to go for a slightly lighter option and had a Mango Juice (£1.49). OHMYGOD. Absolutely incredible and freshly squeezed, really amazing value (visit just for this juice if nothing else!). Also worth a mention that it’s BYOB and you can takeaway (collection only) – they’re on Just Eat. 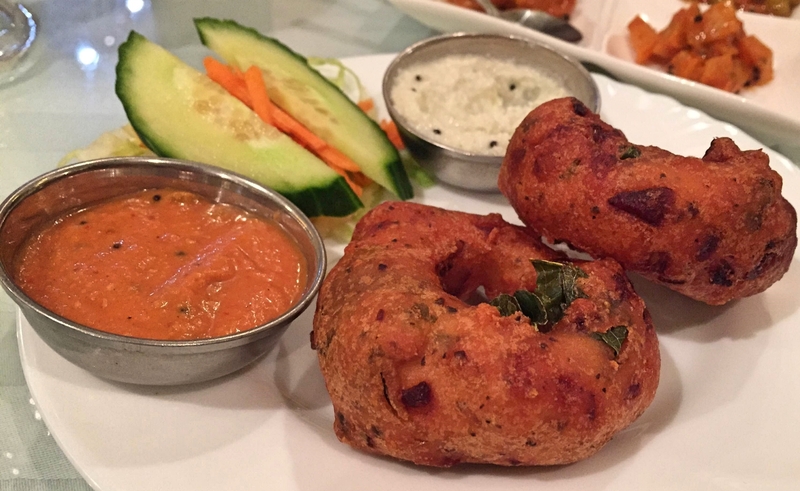 So last words on Kerala Restaurant…causal, great value, absolutely delicious.